KoopaTV: Don't Go to FRANCE For Summer Vacation: Louvre Guide Discount? Don't Go to FRANCE For Summer Vacation: Louvre Guide Discount? By LUDWIG VON KOOPA - Thanks, My Nintendo? In a shocking and appalling move, Nintendo of America is suggesting that you should travel to France this summer through their critically-unacclaimed My Nintendo service. 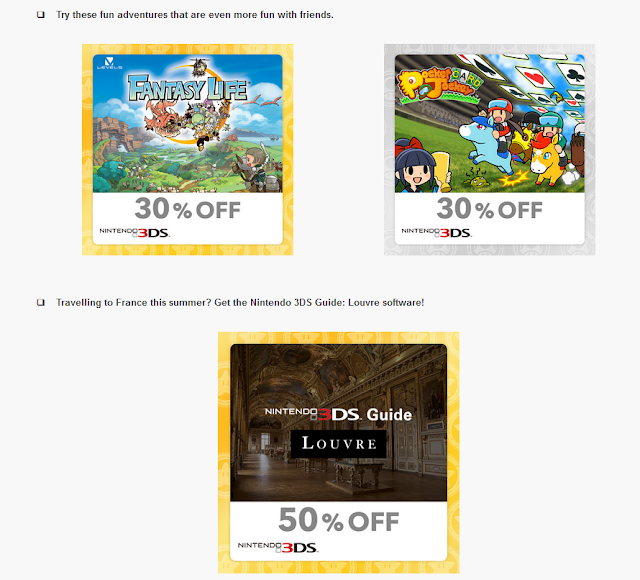 For your information, the Nintendo 3DS Guide: Louvre is normally $20 (it's free to rent in the Louvre museum), but with 80 Gold Points in My Nintendo, you can get it for $10! 50% off! If you actually go to the Louvre museum, you can rent the Nintendo 3DS and do their audio tour for five Euros (or about $5.83). You might remember this product from this completely forgettable Nintendo Direct that had a very forgettable reaction log to go with it. Anyway, a feature is that you can view a lot of art and go on a virtual tour... without having to go to France. KoopaTV highly recommends you do not go to France for a vacation — or for any other circumstance, and reprimands Nintendo for suggesting it. Experience the Louvre with this... app thing on the 3DS. Or don't bother at all. You also don't want to go to France during the summer months because all of the French people are on vacation during that time, leaving the country deserted with no one to service you. It's a lazy European thing. In other news, Nintendo also claimed that Pocket Card Jockey is “even more fun with friends.” despite being a single-player game. (FAKE NEWS?) It does, however, support StreetPass record-sharing, but since you'll never StreetPass someone else with the game, you can share your Pocket Card Jockey records here. What's so exciting about the Lourve Museum anyway? Sure it may feature classic paintings and sculptures by some of the most famous artists in history, but the Nintendo 3DS Guide: Louvre is where the true fun is. Why would anyone bother traveling to France when you could experience the superior tour for just $10? $10 for the next couple of months, and then the discount expires! I got an ad from Airbnb that explicitly told me to not go to France (or Paris, I forget) on YouTube in the five-seconds the ad was on display. I don't even understand the purpose of the ad, their Wikipedia page states that one of their offices is in Paris, France. That sounds bizarre, but it only proves why KoopaTV keeps writing these.